1979 The famous Chelsea porcelain collection, the State Rooms, and paintings at Buckingham Palace, for the Duke of Edinburgh Award Scheme Guide Book. 2010 Parish Churches of Wiltshire by Brian J Woodruffe. As said, Tricia’s work is achieved in a variety of media, though she prefers the immediacy and delicacy of watercolour, some of which is painted on calf vellum. Capturing the effect of light, the fundamental essence of making a painting sing, is central to her focus in portraiture, landscape and still life, often treating subjects in the manner of trompe l'oeil. “Though the use of vellum (lamb, calf or goat skin) as a writing surface dates from the first century CE, it remained the writing and painting surface of choice for many calligraphers and artists through the eighteenth century. It is readily available, light weight, portable and durable, and there are thousands of pieces of vellum as books and paintings all around the world. For a watercolourist, this lively responsive surface demands experience, respect and dry brush techniques for success. Dry brush techniques are akin to drawing in colour with a brush, one tiny stroke at a time with a sure steady hand; to keep the work glowing with energy [-] takes a master.“ Nancy Hart Stieber, Curator of Rare Prints, The Morton Arboretum, Lisle, Illinois, USA. Tricia has completed commissions and exhibited widely in England, and in Australia and South Africa, where she also lived for some years. She now lives and works in Winchester. 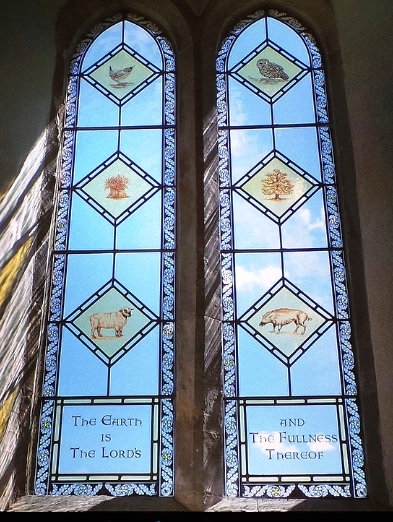 In 2002, Tricia was commissioned by Michelmersh Parish Church Council, in the Diocese of Winchester, to design two south aisle lancet windows for St.Mary's Church. 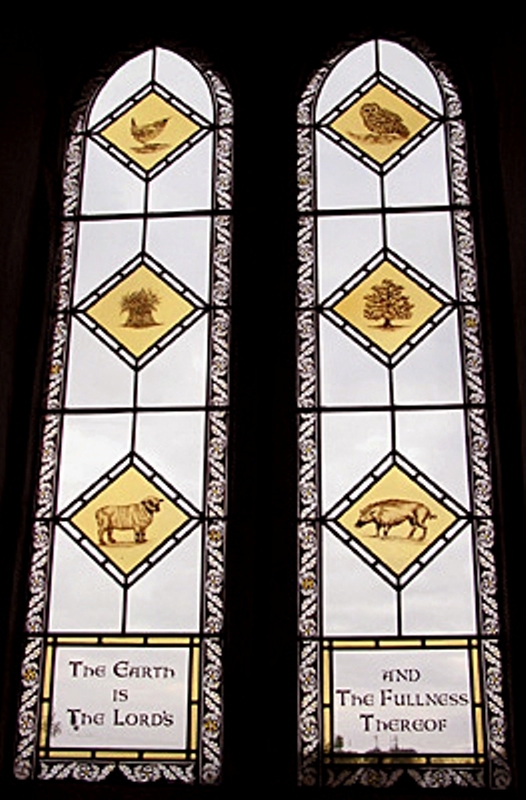 The windows were executed by Salisbury Cathedral Glassworks, and were inaugurated and dedicated in September that year.